Hello?! Is this the best we can do? A measly 10 Educational Apps for the new iPhone2.0. In the immortal words of Charlie Brown...oh, brother! 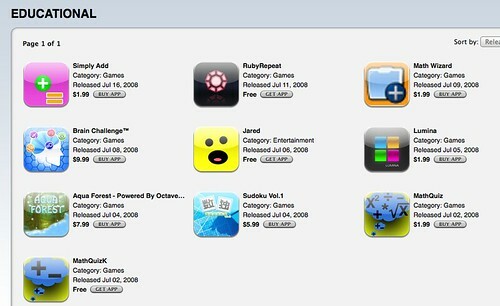 The app store has to be one of the greatest inventions for apple! lol sorry bout the lack of education apps.